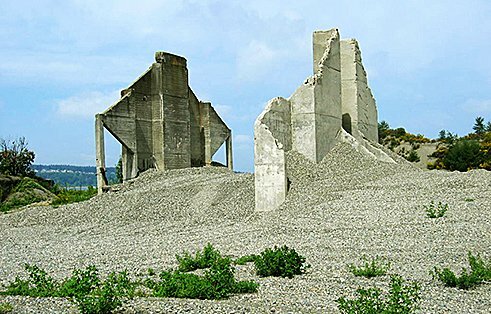 The site’s long legacy of industrial use as a gravel mine posed many challenges to overcome, including moving and placing 1.4 million cubic yards of soil, steep slopes, former sedimentation ponds and various groundwater and drainage issues. 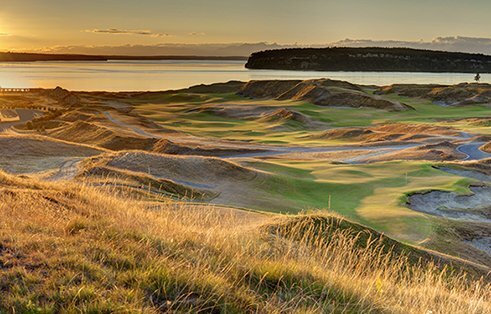 From planning through construction and beyond, our staff has remained engaged with Pierce County and the United States Golf Association regarding Chambers Bay. GeoEngineers helped turn a century-old gravel mine into the site of the 2015 US Open Championship. 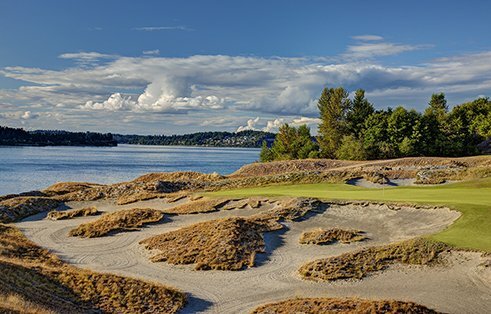 Chambers Bay golf course, site of the 2015 US Open Championship, is the anchor of Pierce County’s 930-acre reclamation and economic development plan for Chambers Creek Regional Park, a historic waterfront location with a long history of industrial use as a gravel mine. 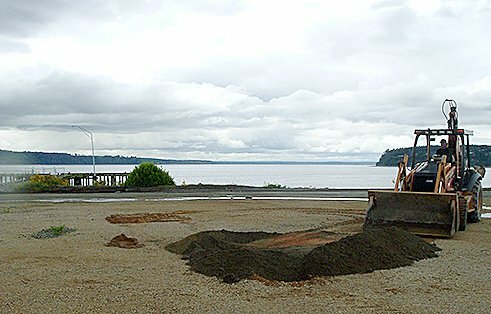 The nationally recognized redevelopment plan balanced the county’s multiple needs at the site for public access, a waste water treatment plant and revenue generation, while capitalizing on the site’s breathtaking location at the edge of Puget Sound. Provided geotechnical design recommendations for a pedestrian railroad overpass connecting the park to a public beach. Today Chambers Creek Regional Park is a bustling recreation area beloved by both local residents and tourists, and home to successful businesses. Audubon International has designated Chambers Bay golf course as a Certified Silver Audubon Signature Sanctuary based on the results of our surface water and sediment testing. The golf course is also the first in the Pacific Northwest to be chosen for the US Open Championship. GeoEngineers regularly engages with Pierce County and the United States Golf Association regarding Chambers Bay. Members of our staff were on-course volunteers for the 2010 US Amateur Championship and 2015 US Open. Our staff, on behalf of The First Tee, an international youth development organization, has worked with Pierce County and Kemper Sports to host two fundraising tournaments.